Derwent empty pencil tin. Made of metal with a satin silver colour. 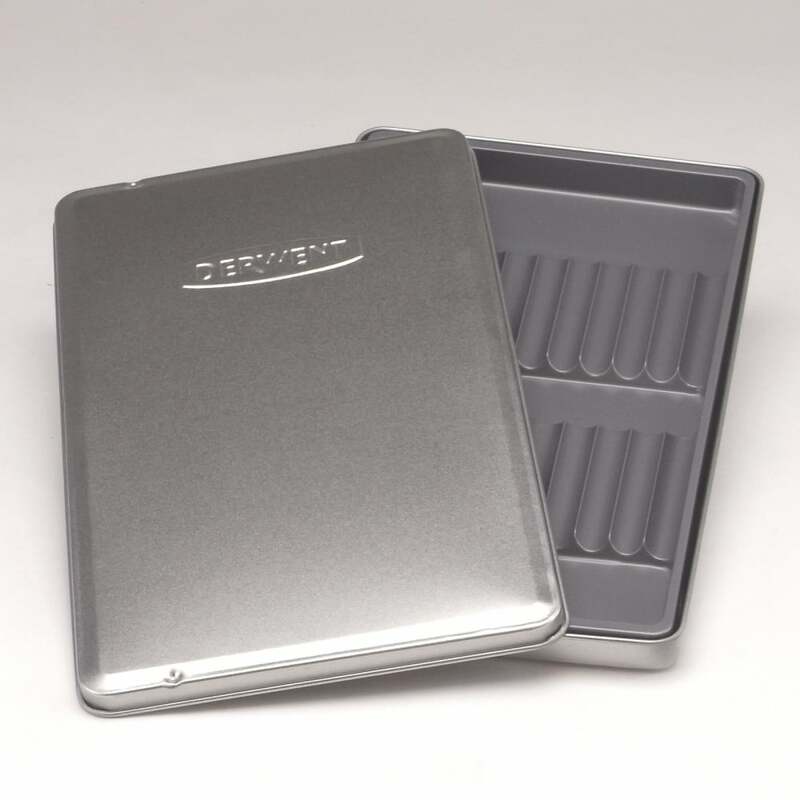 This empty tin has enough space for 12 pencils inside to protect them from damage and has an embossed Derwent logo on the front.